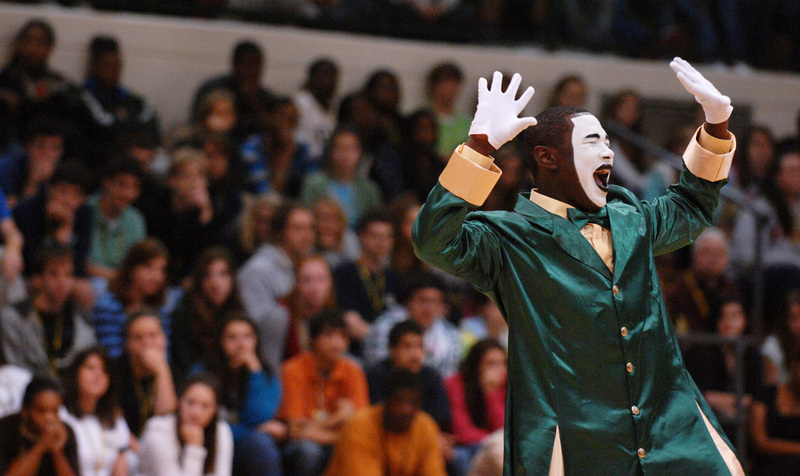 Last year I followed two high school boys who had a real passion for gospel dance/mime. They went the whole nine yards with face paint, white gloves and costumes designed by their grand mother. They spent hours memorizing the moves and somehow found time to be on the football team and study for class. I also shot video of their performances and interviewed them. This was by far the most fun I’ve had while shooting video. Oh, and I absolutely love how many high school students in the background of this picture are resting their heads on their hands. Can you count how many? The juxtaposition of Kadarius’ joy and their boredom is pretty funny. Part of what makes this job so appealing is its unpredictable nature. 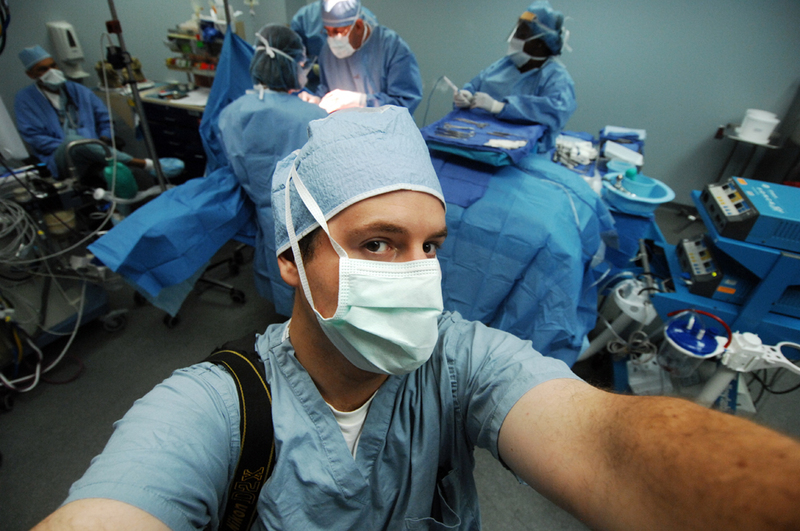 One day I’m taking pictures of back to school activities, the next I’m in scrubs and documenting a full on surgery. And when the location, or event is so off the charts cool, or fun, or unique, you gotta take a second to take a picture of yourself — if only to say that you were there, a little like a badge of honor (some sports shooters collect credentials, like Olympic, Super Bowl or Masters passes). I have a collection of work related self-portraits (and they’re always the same: me making a face holding the camera an arm’s length away with something cool in the background.) Me at the Masters. Me on the roof of Curtis Baptist Church. Me in Ushuaia, Argentina. Me in full scrubs in an OR. This morning at University Hospital, I joined the subject of one of the stories we are doing for breast cancer awareness month in October. She has been a very willing and easy going subject through out the whole thing and allowed me and a writer to be present during her double mastectomy. And as things were winding down, I had to take a moment to turn the camera and document myself as being present.